How daylight saving time impacts your health and could even lead to a spell in prison! Daylight saving time is just around the corner, and new research suggests we should be wary of the lost sleep incurred. Less time in bed after the annual time shift is said to lead to an increase in the number of heart attacks by 5 per cent heart, and a 5 per cent rise in the number of injuries at work. Even judges are said to be affected by the slight time change: they gave five per cent longer prison sentences the Monday after the time change, compared to other days of the year. 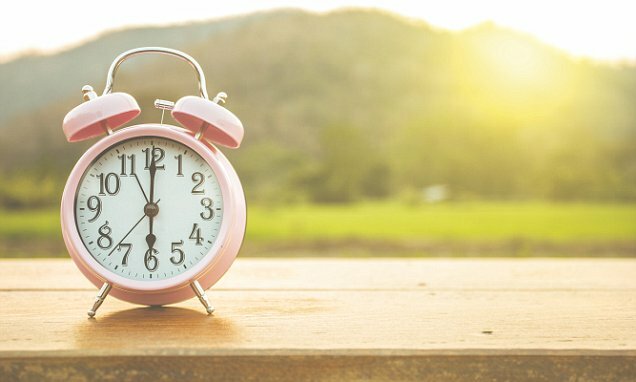 In an article for The Conversation, Professor David Wagner from the University of Oregon explains how daylight saving time affects your health. A train hurtled around a corner at 82 mph, eventually coming off the rails and killing four passengers. Decades earlier, faulty decision-making resulted in the deaths of the seven-person crew of the Space Shuttle Challenger. Years before these events, a stuck valve regulating the supply of coolant to a nuclear reactor nearly resulted in the meltdown of a nuclear plant in Pennsylvania. In each of these cases, poor or inadequate sleep was one of the factors that contributed to the failure. Even if you are not an engineer working in one of those contexts, the odds are pretty good that you occasionally get a poor night’s sleep. In fact, over one-third of American adults sleep less than the suggested minimum seven hours a night and two-thirds of American teens sleep less than their minimum recommended eight hours. Even for those with good sleep hygiene, there is one time of year when you are likely to be short on sleep – the annual shift to daylight saving time.